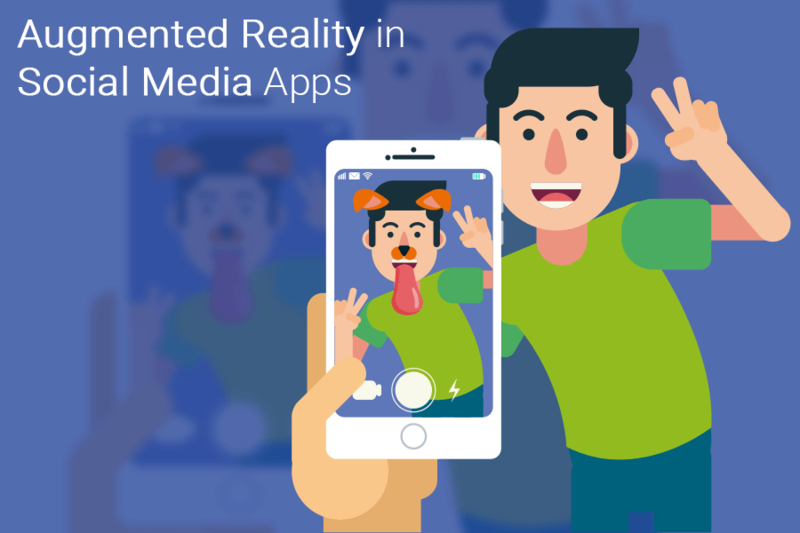 How Social Media Apps Influenced With Augmented Reality? What does your mind respond when talking about Augmented Reality? Is it Snapchat? Well, Augmented Reality has already impacted social media since the years. In fact, it has been witnessed that AR is making its place all over the world of social media – Facebook, Snapchat, Instagram etc. New technologies evolve as fast as a blink of an eye. The biggest question which is necessary to answer is will AR continue to impact social media app? We know that this is the era where AR and VR are the big performers of technological advancements. So will it be able to perform and rule the world of Social media apps? Starting with the AR app development technology basics, we can understand how it works and the other advancements in different sectors. What is Augmented Reality – How it works? Augmented Reality – A real-time display of the interaction of covered audio, video, graphics and other advanced effects over the real world environments. AR app development is the technology which is groomed by the giant tech. Companies like Apple. VR was initially introduced in the early ’90s and since then it has been popular among the technological trends. When VR lets the user experience a completely virtual world, AR takes users on a ride of real-world enabling them to experience virtual elements. The myth about the Augmented reality is – it is experienced only through the handsets and special eyeglasses. But it’s just a myth and that’s not true. 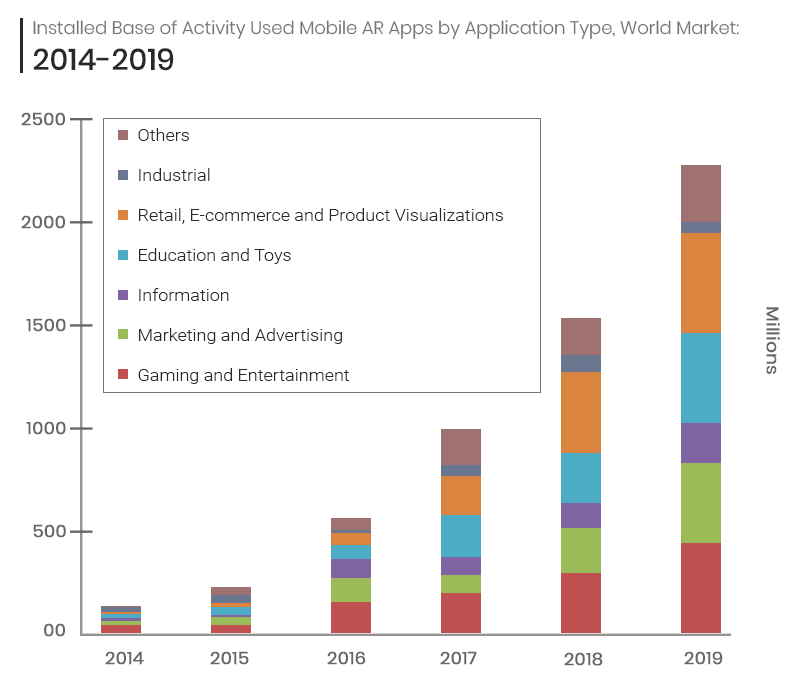 The Reality – AR has become so commonly available and reachable to the public that it can be accessed through social media apps. The social media advancements have reached to the edge of the AR app development. To leverage the Augmented Reality, social media apps like Facebook(Camera Effects) and Snapchat are the most popular apps. Still, social media apps are trying to improve engagement rates for users with advanced interactivity. For this advanced interactivity, social media networks use the features of the Augmented reality in accordance to their advantages. To guarantee satisfactory user-experience, the developer can use the features of AR in their mobile app development process. The best example of this is the creators of Snapchat and Facebook’s camera effect. Necessity is to build a simple interface for the user to click photos inside the app using a mobile camera and can record real-time cameras. The app developer should integrate the special effects tool from where the user can add effects to the photos and videos. The editing mode’s programming should accept the text column so that users can add captions to the photos and videos. The app should let the user immediately share photos or recorded videos. The developers can set a time limit for the visibility of the post in a specific group while coding the app. Developers need to use the phone’s GPS technology for the development of Geo-filters. Due to this addition, the social media apps become more interactive. The most popular and AR experienced app is the first name of this app in the high-tech world of Augmented Reality. The founder of the app aimed to goal a more natural flow of app and still in process of advancements. 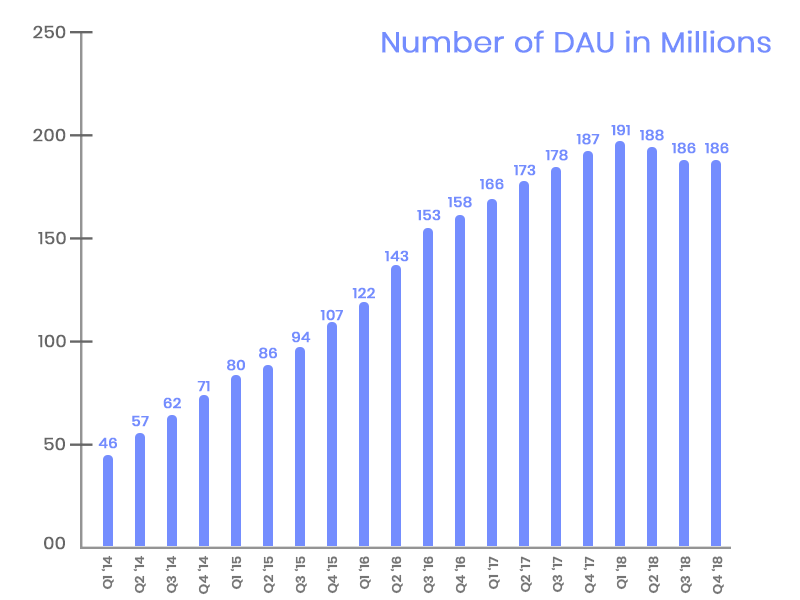 The number of daily active users on Snapchat are the things out-of-box. The main attraction of the app for the public is the maximum share of images and videos with some fantastic filters using AR technology. The features that drag the app to the limelight was the attractive and creative selfie captures with filters like a puppy dog and flower crowns. The filters are at the peak of its era and still not stopping by. These all use AR technology. Augmented Reality glasses are bit rarely used and Facebook believes that Augmented reality can be in your pockets for daily usage. It favors the use of augmented reality devices than the augmented reality glasses. Mark Zuckerberg has believed that “augmented reality” can support more than mobile games on a smartphone. Apart from gaming, AR uses geolocation filters to enhance photos and videos. What facebook’s Ar can do is recognize the objects within the video. The developers of Apple Inc. introduced ARKit 2 in September 2018. Apple believed that user-experience can be enhanced by AR’s capabilities. The ARKit framework lets the developers experiment to the fullest on AR technologies for their mobile app development. The developers use this kit to flawlessly blend digital objects with the real scenes. With ARKit, the developers can create an excellent immersive experience for the users. AR app development integration in social media apps have proven to attract users with special effects. AR has brought the new revolution in the ear of social media for mobile phone users. Now the edges are that users are expecting the life in the world where the imagination and real scenarios intersect. Imagine, you would be providing exactly what the users are expecting. That can be a great grand success for your apps. Got a smile on face? Now start working for it. Turn your app to a success story for everyone. Older What Challenges do iOS Developers Face During Mobile App Development?